Surrounding the Wellshire golf course is the residential area which is now known as Wellshire and/or Southern Hills. 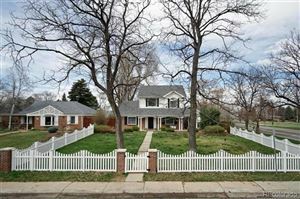 In the past, this area has been one of Denver´s best “starter home” communities with modest frame and brick homes, built in the 1950´s and 1960´s, as well as large sprawling brick ranch homes. Several years ago a few builders purchased some of the older homes and began to build larger, new homes. Now, Wellshire neighborhood is one of Denver’s most popular communities for renovations and new, custom home building. Several good builders like Steven Holben and Cooperleaf Homes have grabbed lots as they become available. Th local Slaven Schools is desirable because of its high test scores and parental involvement. It’s one of the best schools in the Denver public school system. The local Wellshire Inn offers restaurants and a public golf course. Quiet atmosphere and lush green lawns of the neighborhood still remain. This neighborhood is still rated as one the safest neighborhoods for crime, or in this case the lack of it, in Denver. People ride bikes frequently on the quiet residential streets and there is always pedestrian traffic walking this neighborhood. Wellshire is a desirable neighborhood with affordable real estate and easy proximity to The University of Denver and nearby shopping. You can walk to coffee shops, grocery store and Sprouts Natural Foods.